My guest today is Dr. Christian Gonzalez. Doctor of Naturopathic Medicine at the University of Bridgeport College of Naturopathic Medicine. His doctorate work included a thesis reviewing the current and complementary treatments for bladder cancer. Dr. Gonzales provides optimal patient care, by incorporating Naturopathic modalities, such as botanicals, homeopathy, nutrient, and nutritional support. along with a preceptorship at the NYU Langone Integrative Urology Center. In today’s show, we are going to talk about the reasons why environmental toxins such as plastic, pesticides, amalgams, Electro Magnetic Fields (EMFs) & poor nutrition play a major role in breast cancer development– along with other factors. Tune into today’s #HYNwellnesspodcast #9 to find out how to lower your chances of developing breast cancer, what you should focus, the lab tests that really count, Nutrition and much more… – Enjoy the show! ~ Avoid xenoestrogens: Say NO to all things plastic that go into your body. They are powerful hormone-disrupting cancer causers. Limit alcohol+stop smoking: Each successive serving of alcohol raises the risk of 7 different types of cancers…including breast. Smoking goes without saying.” from our bodies…. Dr. Gonzalez talks about his experience treating cancer patients holistically and what we can do to prevent breast and other cancers today. Sleep cycles: So important for proper melatonin (anti-cancer) hormone secretion. Also, sleep in pitch black ➡️ women who have artificial street light coming into the room were at significantly higher risk for breast cancer than those sleeping in pitch black. Also consider changing night shift work. Visit this link for this plant-based supplements. October is here, the month of Breast Cancer Awareness. But have you really thought about what this means? All of these campaigns urging us to donate to, share, participate in or preach about—what are you supporting? As the hype builds around ‘Going Pink,’ the real issues we should be advocating often get lost in the excitement. In this article, I talk about something I strongly advocate—Breast Thermography one of the best and safest early detection tests available. The breasts are a sensitive area of the body – and they’re prone to many health issues if you aren’t watching what you are putting in and on your body and skin. One of those issues is breast cancer. It’s one of the most common cancers in the world. 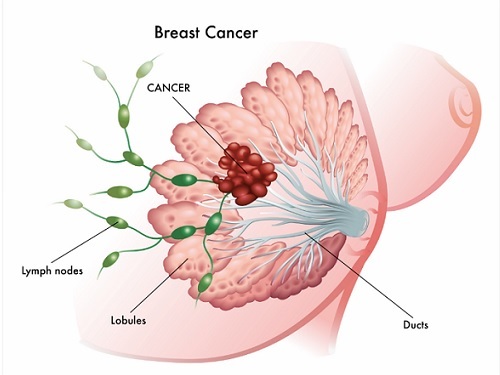 And about 1/8 of US women develop breast cancer in their lifetimes (1). Not to mention, it’s responsible for a high death toll. Thus, constant breast screening is necessary. Because the best way to deal with cancer is to avoid it in the first place. But… Not all screening methods are healthy. The most common type is the mammogram. And this can do more harm than good to your breasts… because, as you screen for tumors– by the time they are identified, they are usually large, and cancer has advanced. So through this article, I’ll talk about an alternative form screening – this being thermography. 1 – No Radiation Involved. Here’s how a thermography works. It maps out abnormal changes that signal problems. It’s a form of infra-screening. With a thermography, you start off by cooling your body for a few minutes. You’re then put behind a camera, which measures body heat in different parts of the body. Abnormal heat levels can be signs of tumors, inflammation, etc. Additionally, a thermography doesn’t use X-rays, like normal screening methods. And X-rays (while useful), increase your risk of getting cancer. X rays are a form of ionizing radiation (1). And ionizing radiation has properties that break down molecular structures, causing genetic mutations, deeming them carcinogenic. 2 – It is Suitable for Frequent Screening. The US Department of Health recommends screening every 2 years, for women aged 50-74 (2). Other sources recommend screening once a year (3). But if you’re serious about avoiding cancer, then you’re screening every 6 months. This is bad if you’re using X-rays. But with a thermography, you can screen frequently, ensuring you keep cancers in check. You can even take it a step further, screening quarterly (assuming cancer runs in your family). With a thermography, the more, the better. 3 – Fast and Instant. That’s a requirement for frequent breast screening. The speed of screening sessions has many advantages. You can use a thermography to scan for multiple types of health issues. For example; Let’s say you have a family history of colon cancer, where mutations are hereditary. Getting frequent checkups for your colon would be advised. And you’d have to do it with your normal breast screening. You can also get a full body checkup. Those normally last 1 hour, and if you do them every quarter, you’re not wasting much time. Thermography procedures are “no-touch.” If you’re sensitive to contact, or if you’re anxious about personal space, you can try a thermography. Most breast scanning procedures involve touch. It is how radiologists assess the existence of possible lumps of problems in a patient’s breasts. With a thermography, this is unnecessary. A thermography accurately scans breast tissue, detecting changes years before cancer develops. After a mammogram screening, you need to wait 2 weeks to get your results (4) With a thermography, you get results within 48 hours. This is how it works: A certified radiologist will interpret the result for you. They’ll provide colored images of your scans, marking any problems they find. 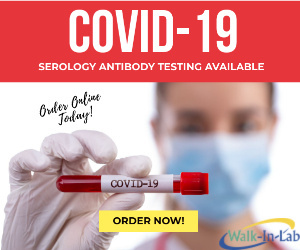 Fast results save you waiting time. And if you find any problems, you can start diagnosis and therapy right away. 6 – Not Just for Diagnosis. Thermography is a way of monitoring treatment. You can use it to monitor breast cancer (or any other cancers for that matter) therapy such as radiation or Chemotherapy, in relation to the effectiveness of chemotherapy, surgery, etc. It also works for monitoring other breast problems such as lumps, fatty tissue, and fibrocystic breasts. 7 – Help Beyond Cancer. Cancer isn’t the only problem that’s breast related. You could’ve had post-surgery problems, and there might be inflammation or glandular issues. Maybe you have pain after breast surgery. It could’ve been a cosmetic surgery or one for health reasons. Either way, you can diagnose further issues with thermal scans, and best of all- thermography can be used as part of preventive care because of its ability for early detection. Not only this month but all year round, I encourage you to become better educated about breast cancer, detection methods, treatments and even the charities and movements you support. I support raising self-awareness for breast cancer—which means regular self-exams, using organic, chemical-free products without parabens (which have been found in cancerous breast tumors  understanding alternative options for early detection, such as Breast Thermography (find a center near you here), and knowing ALL of your choices should the worst-case scenario happen. Educate and empower yourself with preventative health practices and think outside the box when it comes to cancer awareness. Invest your time—not your money—learning about prevention and healthy living. Here’s a good article where you can start. I recommend scheduling a Thermography while following a healthy lifestyle and adopting more preventive measures such as avoiding certain foods to prevent cancer. In fact, you will be preventing many other diseases. Surround yourself with benevolent friends and family which enhances your quality of life and mood. Make “me time” mandatory, and pamper yourself with activities that you love which in turn will reduce stress. Practice meditation, get a medicinal massage, get some Sauna time at least twice a week. Sauna (include the steam room and infrared sauna) which helps get rid of toxins plus several other benefits. I recommend you keep track of the medical field for updates. Be sure to follow the research, and stay committed to scanning routines! There’s no cookie cutter recipe, magic pill, and this article cover the bare minimum. That being said, I highly encourage you to watch The Truth about Cancer docu-series. That is my absolutely recommended place to start. 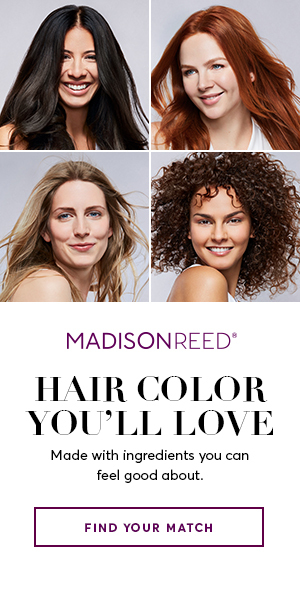 I’d tell you to trust me that you are going to absolutely love it, but I am going to let you decide for yourself. You need to register to watch for free this week only (October 9-16) After that, you’ll have to purchase the docu-series. I own the previous series and it is the best money I’d ever invested in my entire life. Knowledge is power, right? Well, I want that power vs big pharma- Gracias! Next, I strongly suggest that you check for nutritional deficiencies— mainly Vitamin D and Iodine levels. If your doctors can’t do it you can get them from Walk-in-Labs from the comfort of your home. You can also have a Get a Cancer Screening Test for as low as $35. 4) Avoid ALCOHOL period! Don’t believe the lies about wine a few times a week. Read this revealing article and see for yourself. 5) Avoid carcinogenic chemicals, xenoestrogens, pesticides, etc. 6) Aim for organic unprocessed foods. 7) Practice stress reducing techniques, and allocate “me time”self-care is crucial for overall well-being. 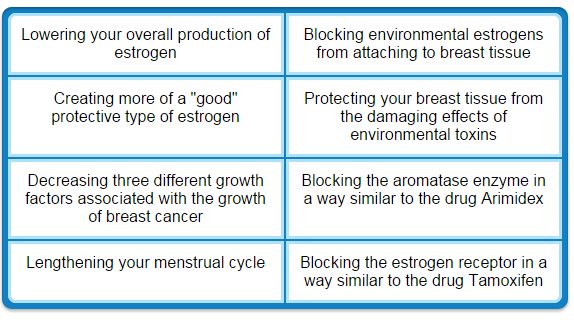 8) Make sure your estrogen levels are balanced, as well as other hormones. Thermography scans are still a work in progress. The Gerson Institute states that thermograms do not offer a definitive diagnosis; only a biopsy will tell if there are malignant cancer cells present. However, thermography can alert women and their doctors to irregularities without health risks, so that women can minimize the need for invasive testing. If the results are suspicious, a woman can start applying therapies to turn this around while it is still at an early stage. Yet mammograms are the tests that women are pushed to undergo most frequently. Currently, the medical field is strongly debating whether thermograms should be the “go-to” breast scanning method. But results show that thermography is superior to traditional scans. For example, Switzerland’s medical board has a negative view of mammograms (5). But also, there’s research that suggests otherwise (6). Do you know what chemicals are in the antiperspirant and deodorant that you apply to your sensitive underarm area every day? Did you know that at least one of the most common deodorant and antiperspirant ingredients is linked to Alzheimer’s disease and breast cancer? According to the current issue ofMother Earth Living, you should be aware that aluminum-containing hygiene products that help decrease sweating and slow odorous bacterial growth may be putting you at an unnecessary risk of developing breast cancer. Mother Earth Living writer Gina DeBacker explains that aluminum is used in antiperspirant and deodorant products because of its ability to enter cells that line the sweat ducts of your skin, which then causes the cells to swell and effectively squeeze the sweat ducts shut so that they cannot release sweat. The problem with aluminum is that it is a known neurotoxin and has been linked to neurological disorders such as Alzheimer’s disease. In addition, because it is applied in the form of deodorants to the armpits where lymph nodes lies close to the skin in the breast region, scientists suspect that it and other components like parabens may be linked to breast cancer. In fact, some believe that what might be happening is that aluminum absorbed may cause changes to the estrogen receptors that play an important role in breast tissue health. The concern that health authorities have concerning aluminum in hygiene products such as antiperspirants and deodorants is that although the risks described are not proven in short term studies, many people who could be susceptible are typically exposed to the suspect ingredients for many years. Furthermore, it’s not just aluminum that consumers should be worried about, but other ingredients as well that include propylene glycol (a chemical that helps aluminum enter the skin); triclosan (an antibacterial that is also an endocrine disruptor); talc powder (a suspected carcinogen), fragrances (most of which are unidentified chemicals); and, BHT (a toxic component of plastics that has been linked to nervous system defects and hyperactivity in children). But if find that the above is little too pricey, here is an informative article on 4 natural underarm deodorants you can make in your home. For more about health safety when it comes to hygiene and skin care products, check out this list of 17 beauty products you should avoid. Lignans are a type of plant compound known as polyphenols. Lignan precursors are most abundant in flaxseeds, although they’re also found in other seeds (like sesame seeds), berries, fruits, vegetables, and whole grains. When you consume lignan precursors, bacteria in your gut convert the “plant” lignans into “human” lignans, including enterodiol and enterolactone, which have weak estrogenic activity. “There are all sorts of different strengths to estrogens. Let’s say estradiol, which is the strongest, most abundant form – if it hooks on to the estrogen receptor, it may cause a thousand cell divisions. But if a plant estrogen hooks on, it may cause one. When you flood your system with these plant estrogens, I’d say it’s kind of like a game of musical chairs. On the other hand, if your estrogen levels are low, lignans may help to supplement your levels to promote a more optimal balance. Its effect on hormonal balance is just one way these plant compounds may benefit your health. Both types of lignans also reduced tumor cell proliferation, but overall, the sesame seed lignan was more effective than the flaxseed lignan in reducing breast tumor growth. Lignan-Rich Flaxseeds for Cancer Prevention? “… [P]ostmenopausal women who were newly diagnosed with breast cancer ate a muffin with 25 grams dietary flaxseed every day for 40 days. The study found that adding flaxseed to the diet may have the potential to reduce tumor growth in women with breast cancer. Further, according to Dr. Horner, there are hundreds of studies showing that flax not only protects against breast cancer more effectively than any other food we know of but may also shrink breast tumors. She also cites research by Lilian Thompson of the University of Toronto, who has done many studies on flaxseeds and estrogen-positive tumors. In one of Dr. Thompson’s studies, she found that estrogen-positive breast tumors shrank in every woman given flaxseeds for three weeks. “I had personal experience with this,” Dr. Horner said. “My business manager’s mother developed breast cancer. I started her on three tablespoons of flaxseed per day, plus a potent herbal antioxidant. Her tumor was 1.5 cm on mammogram. At the time of surgery three weeks later her tumor had shrunk to 0.5 cm. With all these cancer-fighting effects, not surprisingly, research shows that women who have the highest level of lignans in their body have the lowest risk of breast cancer. Flaxseeds contain 100 times more lignans than any other known plant source and are one of the most powerful foods you can eat to lower your risk of breast cancer. Here’s the key to understanding this controversy: Plant estrogens are not the same as the estrogens your body makes or synthetic estrogens found in hormone replacement therapy. In a study that also compared flaxseed lignans with sesame seeds lignans, the sesame seed lignans appeared to lower TBARS (Thiobarbituric Acid Reactive Substances) concentration and increase vitamin E while the flaxseed lignans did not.11 Increased levels TBARS are associated with diseases such as atherosclerosis, heart disease, diabetes, liver disorders, and inflammatory rheumatic diseases. What Are the Best Food Sources of Lignans? Seeds (flax, pumpkin, sunflower, poppy, and sesame), berries, and vegetables are among the best food sources of lignans. Flaxseed is the richest dietary source and crushing the seeds may improve lignans’ bioavailability. However, because flaxseeds are highly perishable and turn rancid rapidly, you should buy organic whole seeds, and grind them yourself just prior to use (avoid pre-ground versions). Flaxseed oil does not typically contain lignans.